The International Hot Rod Association™ (IHRA) is thrilled to welcome St. Thomas Raceway Park to the family of member tracks. The Ontario, Canada based motorsports venue serves sportsman racers in the London, Detroit, Toronto, Niagara Falls and Windsor markets. 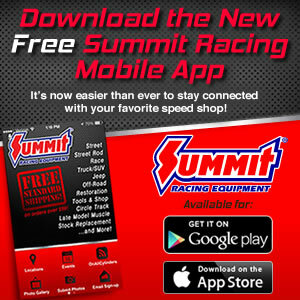 The partnership with ST. Thomas Raceway Park solidifies the racers' opportunity to be part of the Summit SuperSeries and Team Finals while fighting to become a National Champion. Track champions in the Box, No Box and Junior categories will immediately be eligible for the World Championship race at Memphis International Raceway to crown the winners of the largest point’s package in sportsman racing. The facility, constructed in 1962, hosts events from April-November and has seen notable changes and improvements over the years. St. Thomas Raceway Park takes pride in claiming it’s the first purpose built dragstrip as well as the first NHRA sanctioned facility in Canada. For more information about the IHRA, visit www.IHRA.com, call (419) 663-6666 or connect with us on Facebook/IHRAMotorsports, Twitter @IHRA or Instagram @IHRADRS.